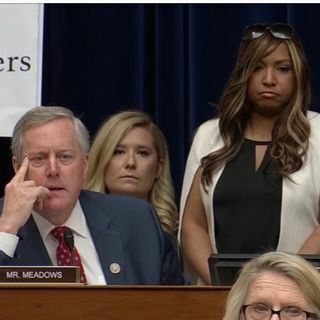 At Michael Cohen’s hearing, he spoke of Trump being racist and NC Rep. Mark Meadows pulled Lynne Patton to stand behind them, as he spoke about how much she believes Trump isn’t racist after working for him. However, he never allowed her to speak. Another case of a white person saying that someone “couldn’t be racist” because of associating with black people.